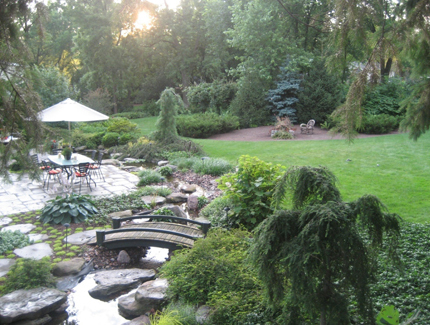 Saturday, June 16 - 2012 Glen Ellyn Garden Walk to benefit Bridge Communities 10 am to 4 pm Marcel's is pleased to provide tablescapes for two of the beautiful gardens and to support this wonderful event. More information at www.bridgecommunities.org. Saturday, June 23 - Glen Ellyn Bookfest 2012: This all day literary event is a celebration of books in downtown Glen Ellyn and at Marcel's we will have some special cooking demonstrations focused on some of our favorite books. Watch our website or the weekly This Week at Marcel's email for more details! And to learn more about Bookfest 2012, go to www.bookfest.org. Dads and grads, weddings, picnics, and backyard barbeques; June is filled with all things summer. Chef Jean is Composing Salads (6/14) and Packing Picnic Baskets (6/26), and Chef Robin is easing us into Backyard Entertaining (6/27) and Summer’s First BBQ (6/21). Fresh is in season with Chef Coleen featuring juicy berries (6/6), plump asparagus (6/7), and crusty bread, naan, and crackers (6/9). Annie and Allison are pairing savory dishes and refreshing libations in Herbs and Spice and Everything Nice (6/24). June is the official kick-off to summer and the grilling season. It is also host to Father’s Day. Most dads that I know really enjoy firing up that grill, sharing time in the back yard with family and friends to celebrate their day. My father knew more than a thing or two about grilling and he was always happy to have an excuse to play with fire. And his choice of fire was hardwood charcoal….no propane for him! Father's Day... A holiday that conjures up so many fun (and funny) memories. When I was young, I gave my Dad an Ace comb and a bottle of Mennen skin bracer every year. Every year, literally until I was a teen. And every year he acted absolutely delighted with my thoughtfulness!! Congratulations to Jeff Swano, winner of the June 3rd Pie Contest with his delicious Blueberry Pie! 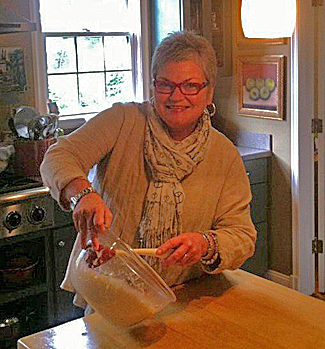 And thanks as well to Judy Olson, our other finalist and maker of a terrific pumpkin praline pie. All of our pie contestants were great and look for another throwdown coming this fall! In 1933, Marcel Roger Foucré opened Marcel’s Restaurant in downtown Lowell, Massachusetts, 21 years after starting as an apprentice cook at the age of 14 in his hometown of Tours, France. Seventy eight years later, Jill Foucré opened Marcel’s Culinary Experience, named after her grandfather, Marcel. What an honor. He would be bursting with pride at the fantastic staff and experience that Jill has assembled and created. 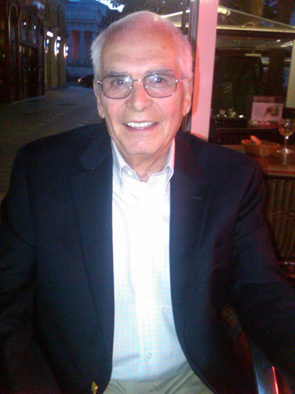 My dad was the hardest working, most caring, wonderful father in the world. My sister Jacqueline, who dad adored, will attest to this fact. My dad was loved by all and I cannot think of a person who did not admire and respect him, both as a Master Executive Chef de Cuisine and a fine man. Dad worked from morning until night and most all holidays, directing the preparation and serving of his outstanding cuisine. From kitchens in Paris, Capetown, Sweden, New York, Miami, Boston, Philadelphia, Ann Arbor, and many other cities and on the most luxurious cruise ships of the era, dad served presidents, kings and queens, sheikhs and shahs, famous explorers, captains of industry and professional athletes. My dad tried to spend as much time with me and my sister as he could. One of the greatest experiences in my life was going to France with Jill and going to Dad’s hometown of Tours and finding the bakery his father owned, which they lived above (and which is still a bakery), remembering how he told us he would deliver bread to the businesses in town before going to school, and researching the family history in the archives. Dad, you were the best a man could be. FULL STORY. June is the official kick-off to summer and the grilling season. It is also host to Father’s Day. Most dads that I know really enjoy firing up that grill, sharing time in the back yard with family and friends to celebrate their day. I still remember his anticipation for that fire to die down and reveal those ash-covered, glowing red coals, patiently waiting for the grill to be hot and ready to receive his favorite cut of beef…a well aged, perfectly seasoned, thick bone-in porterhouse steak. From the first sizzle as the meat hit the hot grill to him removing that perfectly cooked steak…slightly charred on the outside, juicy and pink on the inside...he paid careful attention and it was always done just right. My dad shared his grilling skills with my brothers and me on many a Father’s Day. Every time I fire up the grill I can still sense him looking over my shoulder…just to make sure that I’m doing it right and that the steak meets his approval. Thanks dad!!! FULL STORY. Father's Day... A holiday that conjures up so many fun (and funny) memories. When I was young, I gave my Dad an Ace comb and a bottle of Mennen skin bracer every year. Every year, literally until I was a teen. And every year he acted absolutely delighted with my thoughtfulness!! When our two sons were young, I tried to encourage them to put thought and creativity into what they wanted to give their Dad. Of course, the gifts that come home from school are always cherished and watching them make the perfect card and having them help me plan Fathers Day dinner is a memory l treasure! As the boys grew up, "what to get Dad" became a more taxing decision every year. Another watch?Another pair of khaki shorts? What to do? A few years ago, our oldest, Max, was watching Alton Brown extol the virtues of a well seasoned cast iron fry pan. My husband, Mike is a pretty good cook and it was one piece of cookware that we didn't have. So, he bought his Dad a Lodge pre seasoned 12" fry pan. It was, and still is, one of the best gifts he's ever been given! It is his favorite go to piece and last year we actually bought a second one. We were having a dinner party and Mike was making his "Cast Iron Steak" as we call it! It's an Alton Brown recipe that is truly as delicious as any steak cooked on a grill! Lodge, founded in 1896, is still family owned and operated today. Marcel's carries a great variety of their pieces. Perfect for the Dad in your life! Place a large well-seasoned cast iron fry pan in the oven and heat oven to 500 degrees. While pan is heating, lightly oil top and bottom of steaks with a good olive oil; season top side to taste. Immediately remove from oven and steaks from pan. 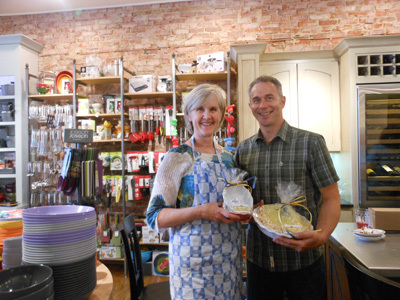 We are pleased for you to meet Wheaton resident Julie Fuller who is the creative entrepreneur behind JuJu market bags. Her mother was a teacher and seamstress in their small southern Illinois town and sparked Julie’s sewing passion during her childhood. Several years ago, a neighbor loaned Julie a book about the uses of vintage fabrics and in order to create something that was beautiful, fun and reusable, she began sewing market bags. While carrying a bag at the French Market last year, her sister was stopped repeatedly by people wanting to buy a similar market bag. Julie subsequently launched JuJu Bags, named for her childhood nickname. The exterior bases of the bags are reused coffee bean sacks that come from all over the world. Julie selects a fabric specifically to coordinate with the coffee sack’s label and it often comes from her mother’s vast collection of material. In addition, Julie feels she is paying homage to her mother’s memory as she sews using both her mother’s machine and jewelry that decorate individual bags. Be sure to notice the fabric lining in each bag that beautifully coordinates with the outside top banding and strap material. Julie states “I feel that each bag has its’ own personality and during the creation process I like to imagine the future owner of that bag.” Stop in and find the unique artisan crafted market bag that best fits you! Gale is quite famous in Chicago, a nationally acclaimed pastry chef, Two James Beard Awards, partner at “Tru” in Chicago, and her own TV show “Sweet Dreams” for years. The list seemed to never end and all seemed a little daunting. Once the demo was underway I soon learned she also produces and bottles her own root beer, as well as being presented Food & Wine New Chef of the Year Award by none other than Julia Child! Really? Is there nothing she does not do? Oh I forgot she was even on a few episodes of” Baking with Julia”. After the cooking demonstration of blueberry scones and a delightful mango prosecco cocktail it was clear that Gale has a down to earth style about her and, just like her cookbooks, is very approachable. Her stories of family and friends along with the ins and outs of entertaining was very relatable to us all. She even came with her son Gio (15) in tow who helped her sell her root beer and cookbooks. Now that was sweet. Above all of Gale's acclaims and awards, I think her family is what she enjoys talking about the most. I left feeling like the whole experience was very personal and such a treat along with the food. I have since revisited my now signed copy of “Brunch”. Rumor has it there is a sequel in the works. When it is released we hope to have Gale back to Marcel’s for another spectacular event. I love my Hurom Slow Juicer. It effortlessly makes fresh and nutritious juices - the flavor combinations are endless. We have been enjoying orange with red peppers, carrot with lemons and surprisingly delicious green vegetable blends brimming with antioxidants. It is whisper quiet, a snap to clean and takes up relatively little space on the countertop. I’ve flirted with plenty of cutting boards over the years but fell hard for an Epicurean, made from composite wood fiber and food-safe resin. My first was a gift, but I soon bought a second and, yes, a third. Made from material designed for skate parks, the durable, eco-friendly surface never dulls your knife. They’re stain-resistant, dishwasher-safe and made in the USA. We use these boards in every Marcel’s class; at home, I pull mine out again and again. Definitely on my “worth-every-penny” list! Chef Paul is packing his culinary bags and heading to Flavor Central, Mediterranean Style (6/22). While here in the States, he’s featuring Dad and beer on Dad’s Night Out (6/15), and Casting the Net for fresh fish and lobster paella (6/29). Chef Kelly is busy Adding a Dash of Spice(6/28), sharing Ten Essential Techniques all cooks should know (6/5), serving up some stunning Summer Salads (6/15), and living vicariously through June’s featured book, The Sweet Life in Paris (6/19). Chef Jamie starts out with Cool Summer Pastas (6/8), leads the teen campers (6/11 – 6/14), and the pint size campers (6/18 – 6/21) on four days of culinary adventure, and makes Dad’s the star when Dad and I Cook Together (6/16). Kick summer off right with a cooking class, or two, at Marcel’s. Beautiful "gifts to go" all pre-wrapped and perfect for Father's Day! Special thanks to our contributors Dana Williams, Janie Gattari, Anne Lautz, Paul Lindemuth, Kris Rupert, Lori Moore, Amy Patterson and especially to Anne Farnum and Deb Forkins who do so much to help put it all together! You can unsubscribe jill@marcelsculinaryexperience.com at any time.